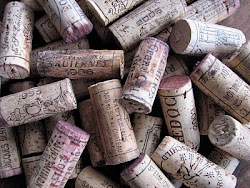 Some sommeliers are telling us the demand for Beaujolais wine has taken off recently. They are not referring to cheaper Beaujolais nouveau but more quality Beaujolais-Villages and cru Beaujolais (explained below). Beaujolais Nouveau is a very light and fruity style, whereby the Gamay grapes are fermented only for a few months and then bottled and shipped. This is the style popularised in the 80s and like "big hair" and shoulder pads its one fad that may or may not return! The Beaujolais region is a small region south of Burgundy and north of the Rhone. The vast majority of the production is red wine made from Gamay. A small amount of white and rosé is made also. 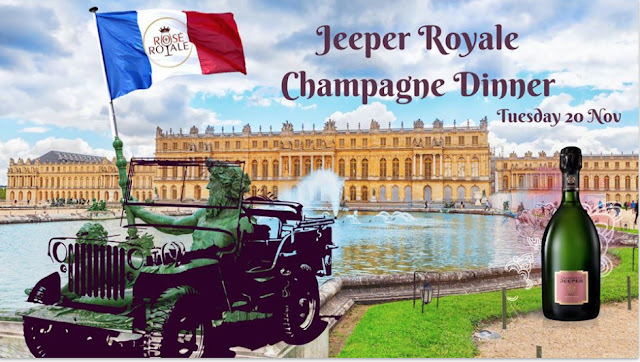 What is driving this interest in Beaujolais? Is it just a cycle? Is it a desire by consumers to move away from "big" styles of red to "lighter" styles. Beaujolais is certainly an easy going food-friendly style of wine that matches many foods. It is generally lower in alcohol (12 to 13%) and can be chilled and enjoyed at lunch as well as dinner. We have started importing a Beaujolais-Villages from Domaine Lupé-Cholet . We recently enjoyed a bottle with a Thai beef salad and it was a perfect match. We served it at the Paris to Provence Melbourne French Festival and the Alliance Française Melbourne Christmas Market. The most common response was "wow" followed by "can I order some?". It probably exemplifies why there is an emerging interest in good Beaujolias. It has lovely rich fruit but some nice soft tannins/finish. Certainly very more-ish! Lovely on its own but a great match to many foods including the soft spices in the Thai beef salad. Normally any heat/chilli in food, makes tannin in red wine seem harsh and bitter, but the soft tannins in our Lupé-Cholet enhanced the food. It was a very enjoyable match. For more details on this lovely wine click here. 1. Beaujolais. This is the least expensive of the 3 levels of wine. 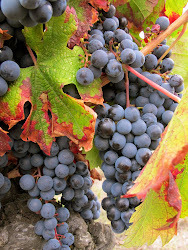 A large proportion of the wine is released within months of harvest. This is called "Beaujolais Nouveau." This makes up 50% approximately of the region's production. 2. Beaujolais Villages wine is produced from an area made up of 38 villages in the north of the Beaujolais region and makes up 25% of production in the region. 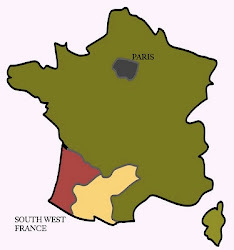 The hilly, granitic terroir here is considered superior to that of the flatter lands in the south of Beaujolais and, as a result, Beaujolais Villages wines are considered to be of a higher quality than those of the straight Beaujolais appellation. The Beaujolais Villages appellation accounts for around a quarter of the Beaujolais region's total annual output, most of which is red wine, with just small amounts of white and rosé wine produced. The appellation law has slightly different rules concerning vinification and permitted yields than the more generic Beaujolais appellation, giving rise to a slightly fuller-bodied, more concentrated style of wine. Often a system called carbonic maceration is used whereby whole bunches of grapes are fermented under a layer of carbon dioxide. This excludes oxygen reducing oxygenation and enabling a softly tannic wine (oxygen breaks down tannins into smaller molecules which are "harsher"). While most Beaujolais Villages wines are made for immediate consumption, some of the best examples can be cellared for up to five years. There are 10 Crus of Beaujolais, all in the north and producing only red wine. They make up 25% of Beaujolais production. Each has its own distinct personality, based on ‘terroir’– climate,soils, altitude, aspect and a host of other factors – that are duplicated nowhere else. These wines are much more complex and will develop beautifully over time much like a good Burgundy. We suspect that we will be hearing more about Beaujolais in 2017. "OMG, this wine is sublime!"